This darling seagrass/cotton fedora has an adjustable interior band. Sized hats to fit babies from 3 months old to toddlers 3 years old. Brims and crowns are scaled to be proportionate to hat size. Guatemalan standard palm. knitwits- Hello Kitty Line- This handmade collectors item is made of wool and lined with fleece! Collect them all while they last! The Wallaroo Petite Victoria is lightweight and irresistible, the Petite Victoria is perfect for summer fun. It's a must for regular outings to the garden, pool or beach. 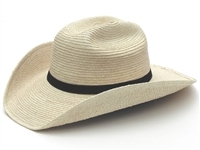 Made from our unique poly-straw fabric, it's shaped with a 3" brim that's crushable and washable. A range of colors allows the hat to be used as a butterfly net, hummingbird attractor or fashion accessory. Interior drawstring adjusts the size (56cm). Perfect for children or those with smaller head sizes. 100% poly-straw. Handwash cold.